Having a workplace that’s modern, creative and efficient is important for millennial employers and employees alike, according to Fast Company. Now, more and more people want their workspaces to become mobile and collaborative. Simply sitting at a desk for eight hours a day has been shown to hurt productivity and engagement, but having the chance to work and move can break up the monotony and encourage team building more efficiently. 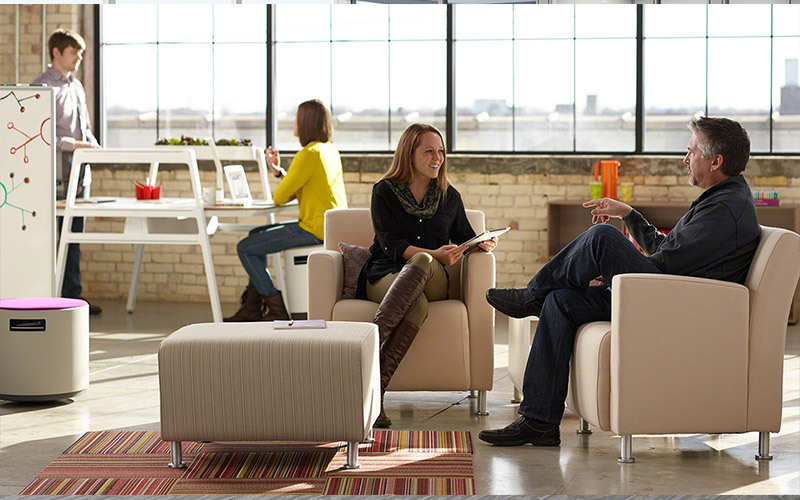 Many offices are incorporating common areas for flexible work options and social events. They’re also designing nooks or booths for privacy as well. According to Building Design + Constructions, the rise of millennials in the workplace and their embrace of mobile technology has enabled workers to move away from the confines of the traditional desk and workstations. Now people can work from anywhere. This flexibility provides for a more adaptive and less rigid working environment that can accommodate longer working hours with a personal life to better achieve a work-life balance so many millennials desire. Minimal and modern spaces with lots of storage help to hide clutter. If there is one thing millennials are growing tired of seeing it’s dark cramped workspaces and cluttered desks. Minimalist design features, smaller devices, and wireless technology are helping to solve this problem. 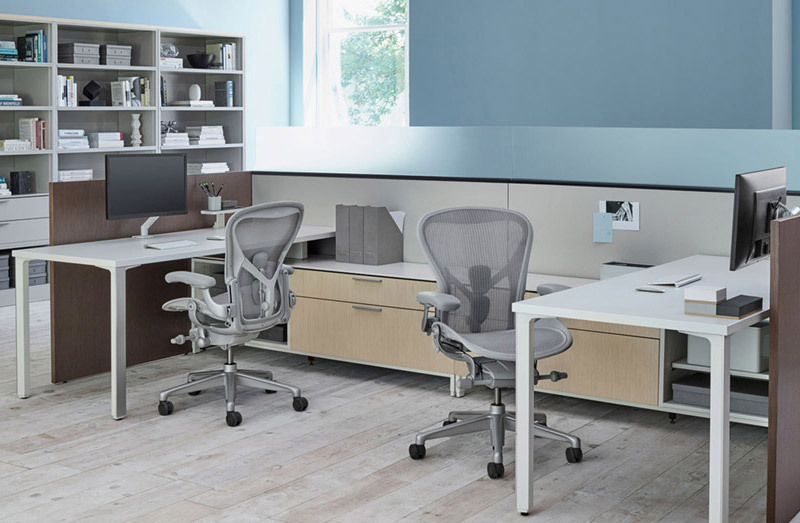 Even if an office is small, many companies are looking to workstations and furniture options that can conceal the clutter while bringing a clean minimalist look to a workspace. This has helped to open up office spaces making them feel cleaning and more attractive. Decades ago, office design trends were drab and boring using artificial materials in sterile workspaces, but that has changed. According to another Fast Company article, bringing in natural components like reclaimed wood paneling, exposed brick, and plant life has become the norm in many modern offices. Millennials believe it’s essential to have their offices be both comfortable and enjoyable spaces to work in. The more people relax and make themselves at home the less stressed they are in the workplace leads to better productivity and happiness. Lighting in the workplace matters to millennials. They don’t want to feel claustrophobic nor do they want to feel like they’re working in a sweatshop. Large open spaces with lots of windows that let in light are best in make an office feel inviting and connected to the world around them. When indoor lighting is needed Millennials prefer to avoid fluorescent lighting in favor of incandescent accent lighting and desk lights. Fluorescent lighting washes out offices and makes them feel sterile. It’s also been linked to migraines, headaches, eye strain, as well as anxiety and stress. 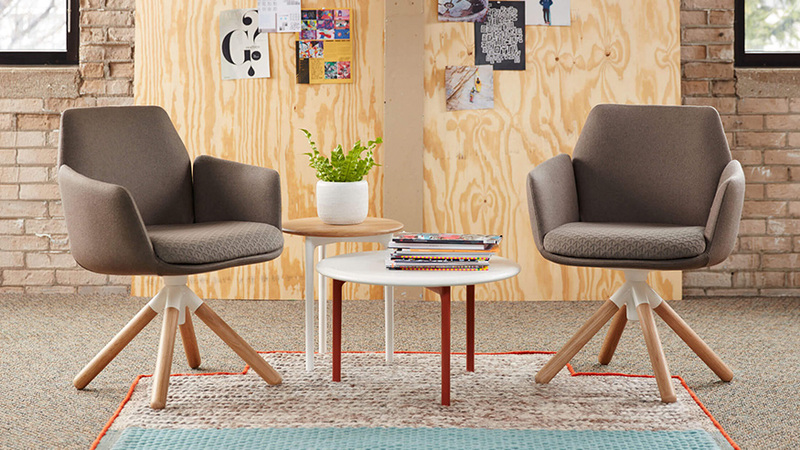 To learn more about office design trends checkout: 7 Top Interior Design Trends for 2016 (Neocon). 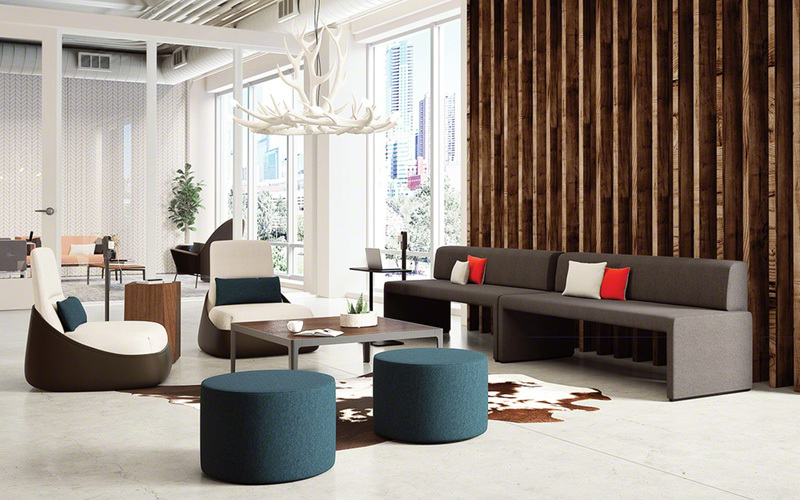 The post Millennial-Led Office Design Trends Of Tomorrow appeared first on Office Designs Blog.